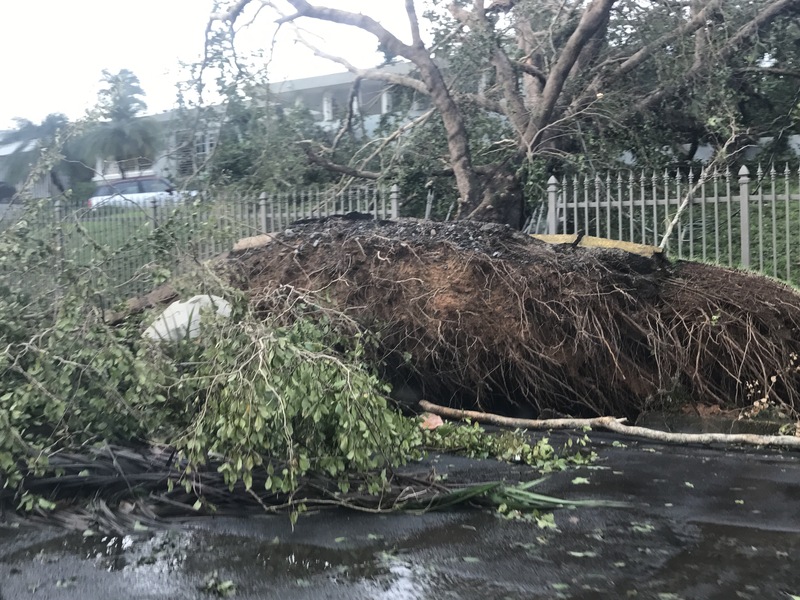 Puerto Rico saw the biggest and strongest hurricane in decades. 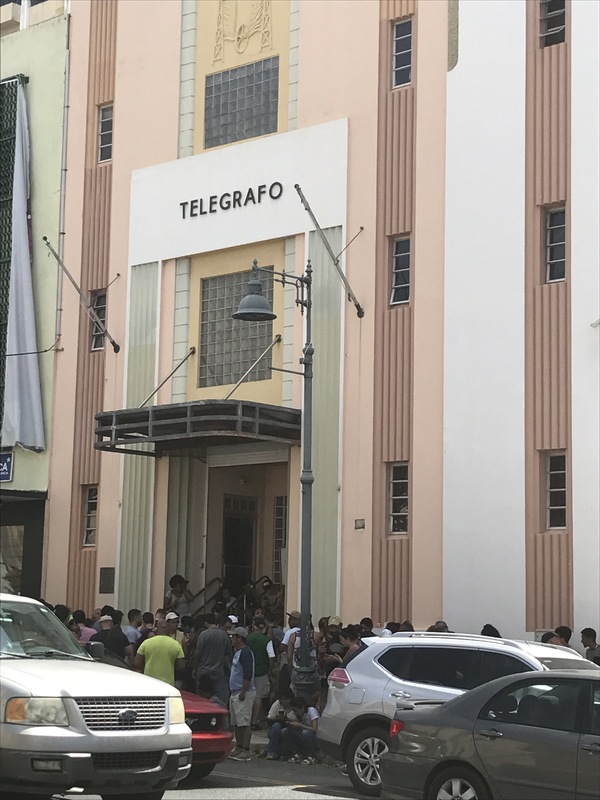 I haven’t been able to write or update the blog for days because we don’t have electricity in my house but my brother and I just walked to el Telégrafo building (telegraph) where we heard there was wi-fi. Among a herd of people, all connected to their smart phones, I finally got it on my phone. This looks like a line at a store o Black Friday, it’s crazy but nobody has connection to anything. I have been able to use Facebook through my mom’s computer from time to time but that’s it. 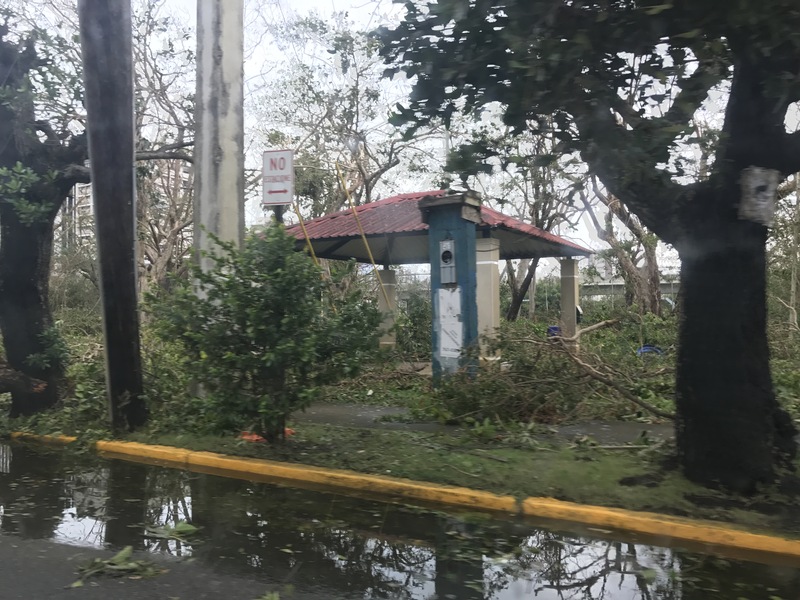 Puerto Rico feels like it is totally out of the radar, we don’t have any connection to anything. The only way we get news is because one radio station has been able to stay on air the whole time. Apart from that, our island has changed, its not the green, trees lost their leave and now look like trees in the states during fall. Almost everything fell down, lamp posts, billboards, rooftops, and trees. I’m not talking about leaves or branches, entire tree trunks. It’s a different place but people have been connecting and helping each other, helping those neighbors and friends who lost everything, and even cleaning out streets. There have also been a few robberies at night but for the most part people have been communicating and helping each other. This is my Puerto Rico and we can get through this. Thank you for writing your blogs! You’re the strongest person I know! Hang in there and know our thoughts are with you. 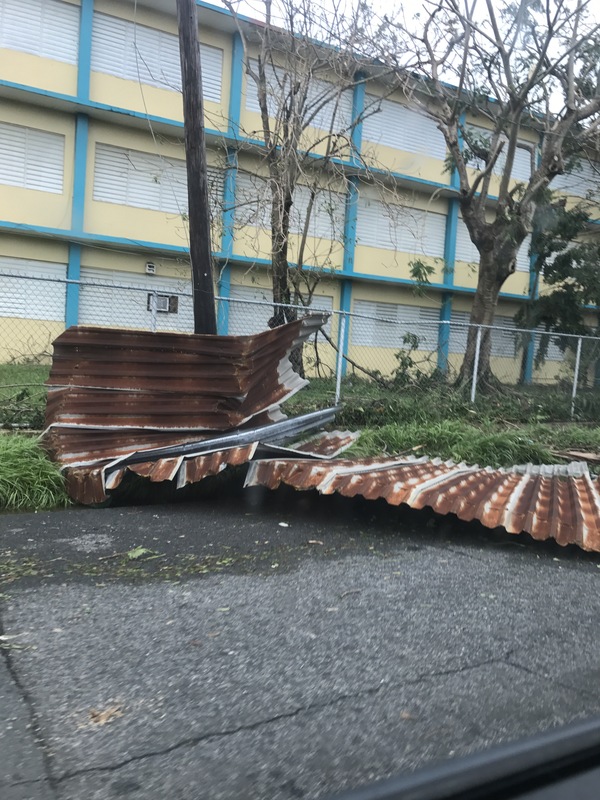 Let us know if we can send you anything to help you out until PR gets back on its feet. Next Next post: I have have data, finally!